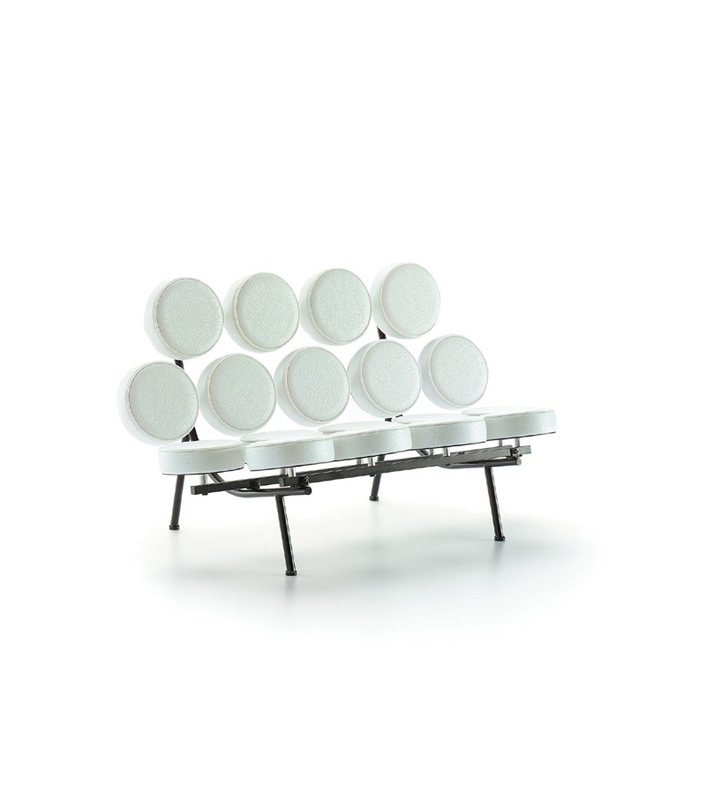 Vitra Miniature Marshmallow sofa, Nelson: George Nelson is one of the most influential personalities in U.S. design after 1945. Nelson’s ”Marshmallow”-sofa must be considered one of the earliest "Pop Art" furniture designs: the transformation of a traditional sofa into a threedimensional structure made of soft, colored cushioning. 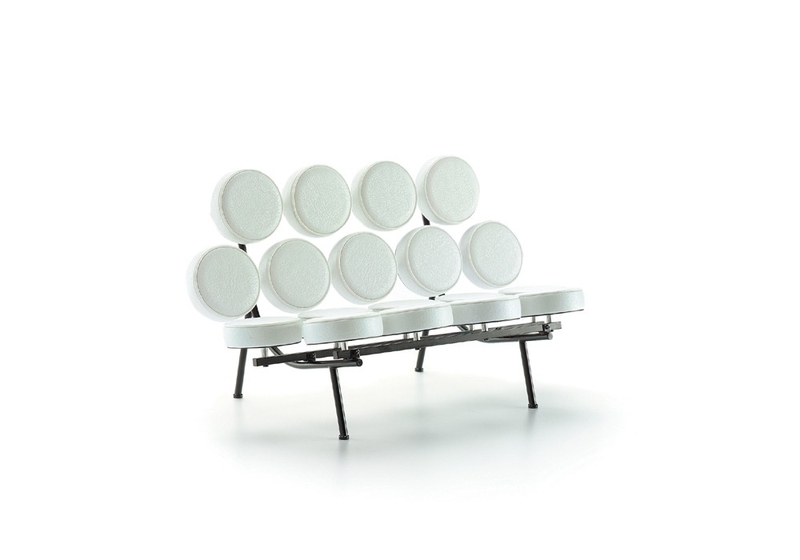 Vitra Miniature Marshmallow sofa, Nelson: George Nelson is one of the most influential personalities in U.S. design after 1945. As of 1946 he was for many years head of the Design Department at the Herman Miller company, on whose behalf he engaged designers hardly known at the time, such as Charles Eames , Isamu Noguchi, and Alexander Girard. And he was also inspired by other areas of culture: along with his work as an architect, he concerned himself with ongoing sociological and artistic themes. 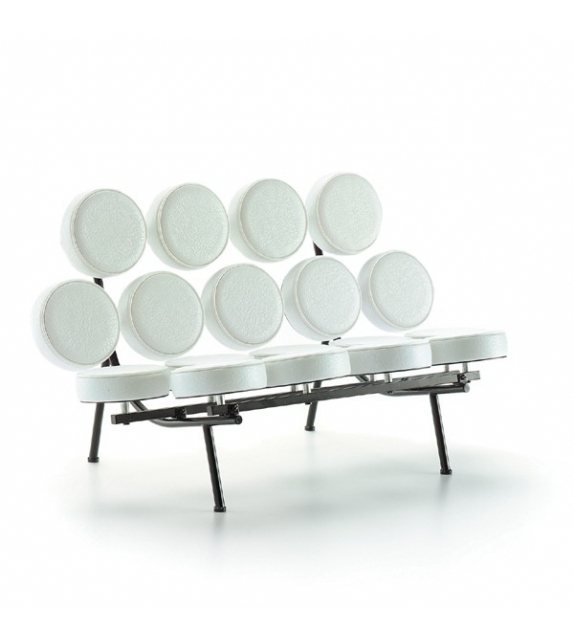 Nelson’s ”Marshmallow”-sofa must be considered one of the earliest "Pop Art" furniture designs: the transformation of a traditional sofa into a threedimensional structure made of soft, colored cushioning.The seat and back are supported by a steel construction and the unit has the shape of an axially symmetrical folded-out waffle. Varnished steel tubing, aluminium, leather cushions.